What could be better than gazing through a superbly cleaned window from your home in Blackheath? Yes, window cleaning is not easy, but our company Fast Window Cleaning London is here to change this. We are a leading provider of window cleaning in Blackheath. 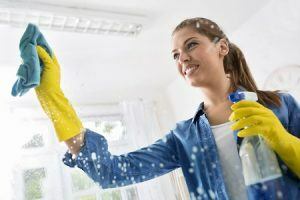 Owners of residential properties and offices alike have learned that our company is reliable, highly professional and proven to be the best there is when it comes to cleaning and sanitising windows. There is every reason to consider our service, especially when you take into account how difficult it is to clean windows sometimes. What is our window cleaning in Blackheath all about? Our company focuses on completely cleaning windows of any shape and size. We can perform our service for offices and office buildings, as well as residential properties and even solar panel cleaning in Blackheath. Our expertly trained cleaners to perform this job to the highest level. We can provide fantastic services at the right price whenever you wish. You can contact 020 3322 8261 and book our services at a time and date that is fully suitable for you. You will find that we are extremely accurate friendly! Get your windows cleaned by the best! 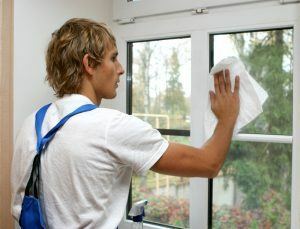 Whenever you feel like your windows are getting dirty, you need only contact 020 3322 8261 and we will come to your aid. Our aid is available to all throughout Blackheath and even other areas of London. The booking procedure is light and doesn’t take long at all. One call is enough to get all the important details and aspects of the job. Don’t forget that we can provide a free quote too. It is a non-obligation estimate, based on your needs, which can show you just how affordable our window cleaning services are. Waste no more time and contact the best company for the job today. We are waiting to prove that your decision was right! The district of Blackheath is located in the south-eastern part of the London capital. It is split between the London Borough of Lewisham and the Royal Borough of Greenwich. The area is just south of Greenwich and east of Lewisham. The name was first recorded as Blachehedfield, loosely translating to ‘dark coloured heathland’. This is one of the largest common land areas of Greater London, featuring 85.58 hectares of protected commons. That area is jointly managed by Greenwich and Lewisham councils. This particular area was well-regarded by botanists and support both flora and fauna. Another landmark of the area is Blackheath Conservatoire of Music and Arts. A neighbouring building to that is Blackheath Halls – a well-known concert venue. Blackheath features a yearly festival held at the Heath. Book expert window cleaning in Blackheath with Fast Window Cleaning London today by calling us on 020 3322 8261.